In The Division 2 there are a total of 52 Collectible Cards to find, these are divided into 4 card colors (card sets). To complete the game with 100% progress, you must find all the collectibles. You can look in the menu which collectibles you have already found and which you still missing. To do this, briefly press the “Options” and then select “Progression”. Then you switch to the tab “Database” with the button R1. 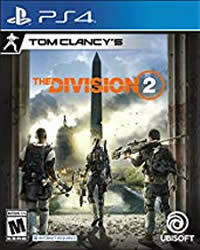 More Guides and News about The Division 2 you will find on our overview page. There are 4 Suit of Cards, per color (heart, spades, diamond, club) there are 13 Snitch Cards. These Snitch Cards are only dropped by named enemies with yellow health bars that can only appear in the open world (not in missions or dark zones). Each named opponent is guaranteed to drop 1 card. There is no way to find these as collectibles, they are all dropped by these special opponents with yellow health. But there is a little trick to get all these playing cards, you can farm them in one and the same place. Every 30 minutes a new enemy appears in the same place. In total, you need 52 cards, just under 26 hours to get everyone. Collect any suit of cards in the open world. Regardless of the spawn point, you decide to use, here are several tips you should consider. You don’t have to actually loot the enemy carrying the Snitch Card. You can get it by simply walking over his corpse. Set an alarm and visit one of the locations above every 30 minutes. You can’t farm both locations, because only one high-rank enemy spawns. You can’t find these Division 2 collectible cards in missions or Dark Zones.